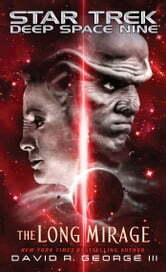 Continuing the post-television Deep Space Nine saga comes this thrilling original novel from New York Times bestselling author David R. George III! More than two years have passed since the destruction of the original Deep Space 9. In that time, a brand-new, state-of-the-art starbase has replaced it, commanded by Captain Ro Laren, still the crew and residents of the former station continue to experience the repercussions of its loss. For instance: Quark continues his search for Morn, as the Lurian—his best customer and friend—left Bajor without a word and never returned. 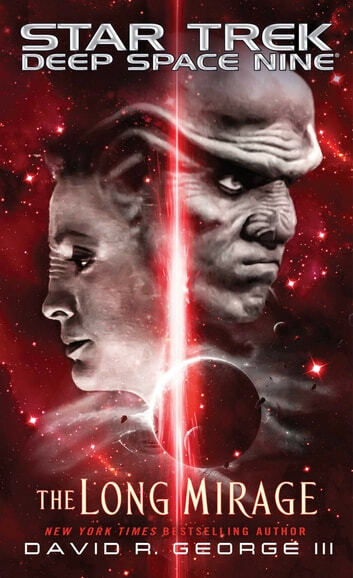 Quark enlists a private detective to track Morn down, and she claims to be hot on his trail. Yet the barkeep distrusts the woman he hired, and his suspicions skyrocket when she too suddenly vanishes. At the same time, Kira Nerys emerges from a wormhole after being caught inside it when it collapsed two years earlier. She arrives on the new DS9 to discover Altek Dans already there. While inside the Celestial Temple, Kira lived a different life in Bajor’s past, where she fell in love with Altek. So why have the Prophets moved him forward in time…and why have They brought him and Kira together?